Some days you can do a great job in 5 mins and you strut around like MY BROWS ON FLEEK YO. Brows are really important because they frame your face - I mean, there is an entire website dedicated to how horrific celebrities will look like without eyebrows. hahaha!! Drawing the perfect pair of brows is difficult because not only do you have to figure on what suits your features and face shape, you have to pluck/shave your own brows to said shape, find the perfect eyebrow pencil (and cry when it gets discontinued), and after finishing one side, make sure the other doesn't look too different. Not everyone has the skills or time for that. But of course, a lot of people also fear... What if I get eyebrow embroidery and I hate it?? It is forever!! Don't worry, firstly, it won't last forever as the ink does not go in as deep as traditional tattoos on skin. Most brow embroideries last 1-2 years. Secondly, you will be able to choose your eyebrow shape before the embroidery process, it is not like someone just tattoos you while you are unconscious! 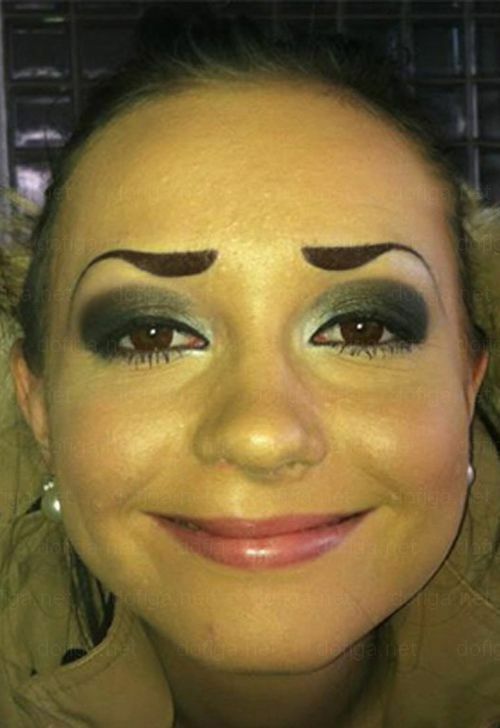 Personally, for me, many salons have approached me for eyebrow embroidery sponsorship before, but I never went for it. 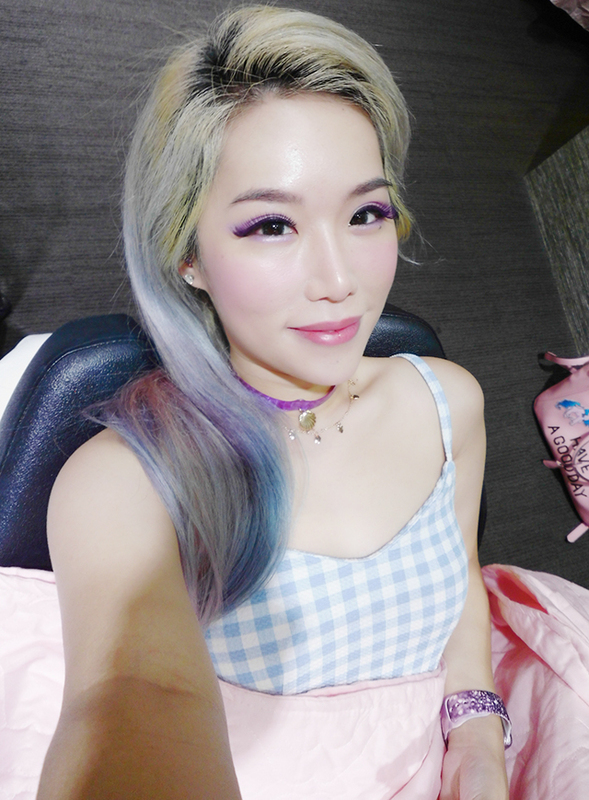 The reason is that I'm always either with blonde, pink or purple hair, and my brow colour changes which each hair colour. When I'm blonde, I use an ash blonde pencil and I bleach my brows. When I have pink hair, I use dark brown. When I have lilac, I use an ash grey pencil. But I've finally decided to take the plunge and just do a default light brown colour! I reckoned that if I'm blonde I can just lighten it with foundation and brown suits purple and pink fine. And so off I went to BROWART STUDIO!! First, I met with BrowArt's embroidery artist Jenny, who did hundreds of eyebrows before with 10 years of experience. We did a consultation for me. The raging trend for brows now are Korean brows which are full and straight, so she drew that on for me to try. I didn't like it because it simply doesn't suit my face. And so I opted for something that is close to my natural shape. The end tips of both my natural brows are sparse, so she filled those areas up. Sorry cannot find any photos of my bare brows wtf... I forgot to take a photo before Jenny drew on me and I can't find any in my photo library because I usually will draw my brows and I don't usually take photos of myself without makeup. O_O So yeah no before pictures sorry!! After my brow shape is decided, numbing cream is applied! She uses a thin, fine blade to imbue the ink. BrowArt's ink is imported from Korean and my colour was specially mixed for me! Don't worry, they use really good numbing cream and it was not painful! At certain areas I felt a bit of discomfort like if someone is scratching me. If you feel pain, just ask Jenny for more numbing cream. Nowadays people all go for 3D brow embroidery, which involves using a thin, fine blade and not the traditional vibrating tattoo needle. When you observe very very closely, you can see which are the tattooed "hair" and which are my real brow hair. Her strokes are more obvious in pictures, but I f someone is just looking your face, they almost can't tell and it's super natural! The horrible ONE PIECE greenish tattoos that aunties in the past used to do that defined eyebrow embroideries are a thing of the past!! Nowadays eyebrow embroideries don't look like that anymore and neither does BrowArt's ink fade to a horrible green. 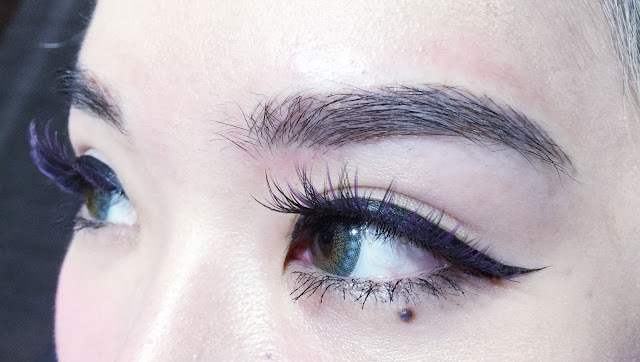 After the embroidery, it is natural for the brows to look a little harsh. The ink will scab over and fall off, leaving a lighter colour. For a few days I walked around with more severe looking brows, but nothing bad. The skin around the brows will also be dry, but BrowArt will give you a cream for that. I also did Lip Embroidery with BrowArt! Personally, I've always hated my natural lip colour because it has this brown tone which I feel clashes horribly with my light hair. So I ALWAYS have lipstick on. Some years back I did lip embroidery at some shady salon and it was so horrifically painful. After that the lips looked a bit orangey brown to add insult to injury. #%^@!$* Lao niang paid money for it some more!!! ANGRY!! So I thought... Nothing can be worse than the colour I had, so why not give it another try? Jenny said it is painless. After the first embroidery, my lips looked more pink and less brown. The above is the picture! Just like the brows, numbing cream is first applied on the lips, and a gauze is inserted into your mouth. During your consultation you can tell Jenny your lip concerns, and she will choose and mix a custom ink colour for you. It is really zero pain at all wtf!!! I don't understand how the previous time can be so painful and this time no pain at all?? I almost fell asleep! The ink colour is this fluorescent neon pink but don't worry, it won't turn out like the ink! Will be much lighter. The recovery for the lips is however not as smooth as the brows. My lips got really swollen for the next 2 days, and extremely dry after that for 2 weeks. I have to keep applying the gel that BrowArt gave me. I also have to give fair warning to anyone planning to do lip embroidery that the results are not super drastic. Do not expect to achieve Diva Von Teese's red lips because due to the natural colour of your lip's skin, it can never be that intense. For me, personally, I just wanted to change my orangey-brown hue to a more pink colour. The change is subtle but good enough for me. I literally took this photo with no makeup as I am writing this entry so you can see after a few months this is the end result! Their Instagram page has more before and after photos! !